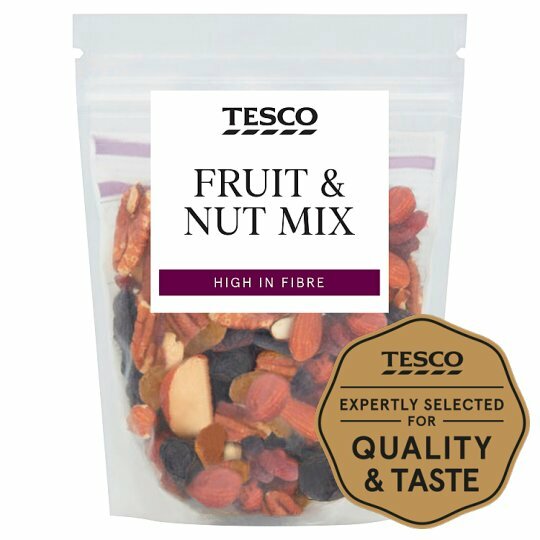 INGREDIENTS: Flame Raisin (20%), Almonds, Golden Raisins (15%), Hazelnut, Brazil Nut, Pecan Nuts, Cashew Nut, Sweetened Dried Cranberries. Flame Raisins contain: Raisins, Sunflower Oil. Golden Raisins contain: Raisins, Sunflower Oil, Preservative (Sulphur Dioxide). Sweetened Dried Cranberries contain: Cranberries, Pineapple Juice from Concentrate, Sunflower Oil. Also, may contain other nuts and sesame seeds. For allergens, see ingredients in bold. Warning: Not suitable for small children who can choke on nuts.